The beautiful deluxe reclining glider chair and stool from Obaby provides the perfect place of comfort to sit and relax with your little one. With its gentle gliding motion the chair is ideal for feeding baby, story times and letting your little bundle drift calmly off to sleep whilst at the same time providing you with a snug place in which to relax. The included foot stool cleverly copies the motions of the chair ensuring nothing interrupts that all important peaceful time with baby. The innovative easy to reach gliding lock enables you to stop the chair from rocking at any point and the chair remains static until you wish to use the gliding motion once again. With luxurious extra thick padded cushions and padded arm rests the chair can easily be reclined to create the most comfortable position to suit you, simply lift the arm ends and the angle of the backrest is adjusted to your needs. 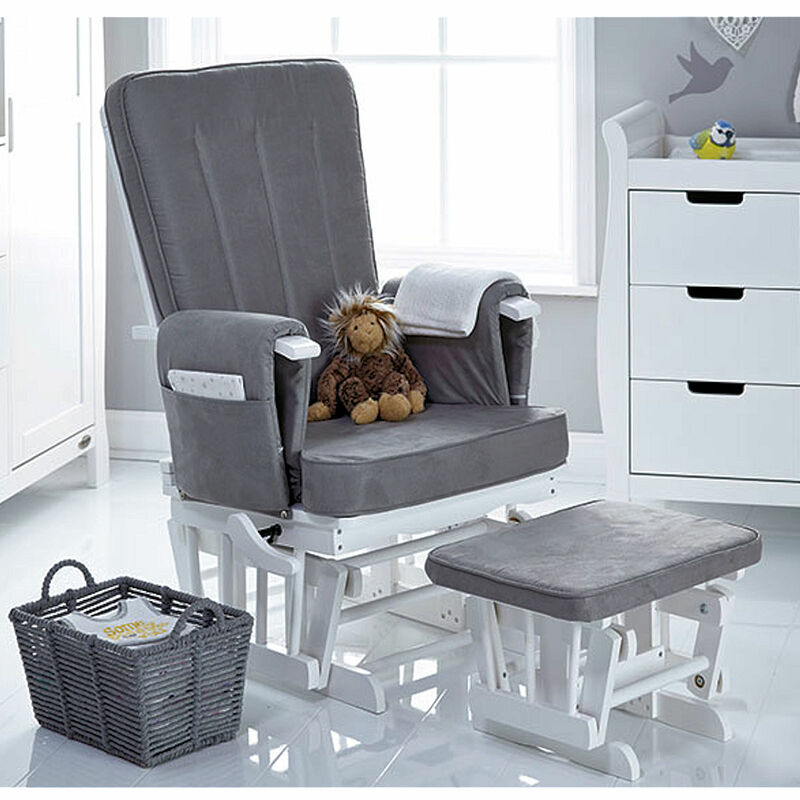 Complete with a storage pocket on each arm rest which allow essential items to be kept close at hand this chair and stool would make the perfect accessory in any nursery.